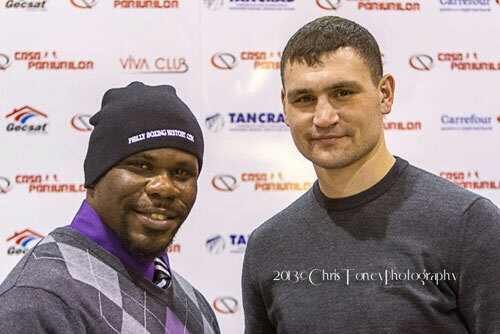 PHILLY BOXING HISTORY - February 21, 2013 - Is Garrett Wilson On a Mission Impossible in Romania? 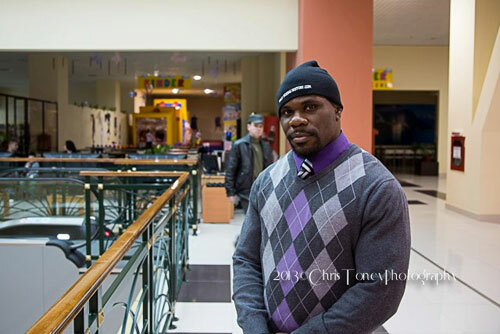 South Philly cruiserweight Garrett Wilson is in Romania for his IBF title elimination bout with Alexander Alekseev which is scheduled for Friday, February 22nd. The 12-round fight to become the mandatory challenger for IBF champion Yoan Pablo Hernandez is a tough enough test, but Wilson may also be up against factors that may very well make the fight "Mission Impossible" for him. It's an old story. 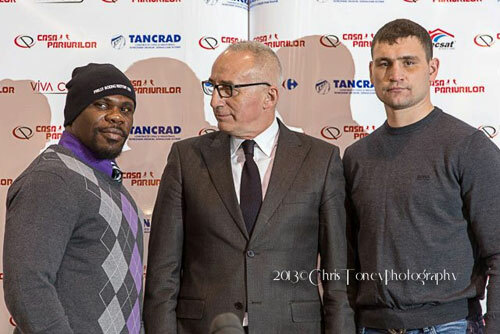 One of our boxers agrees to go into the wild and wooly world of Eastern Europe for an important bout because it's the only way to get the fight made. A week before the fight the boxer makes the long trip, shakes off the jetlag, tries to find some non-exotic food that won't send his body into shock, endures the usually hostile environment on fight night, and then faces their tough opponent. It's about at this time, that the real problems begin. All that other stuff usually becomes the good part of the trip once the fighter returns home. Many American fighters have taken a trip like this and done well in the fight, only to have the victory taken away from them. The truth is that these often corrupt events are almost impossible for the visitor to win. With every card in the deck hopelessly stacked against the traveler, the result of the fight often ends up being a questionable decision, a controversial stoppage, or some other oddball occurrence that suddenly materializes out of the fast and loose rule book that is on hand at the time. Taking the risk to fight in these far-away outposts, many of which are generally unfamiliar with professional boxing, more or less makes the fight an impossible mission. 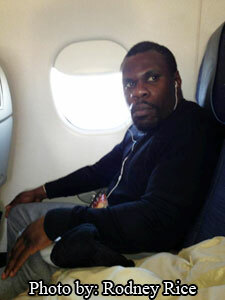 Just ask Steve Cunningham. His recent European campaigns went better than most, but still he suffered a couple of career-turning rip-offs. Garrett Wilson is the latest adventurer to take this risk. He's travelled to Galati, Romania for the biggest fight of his career. 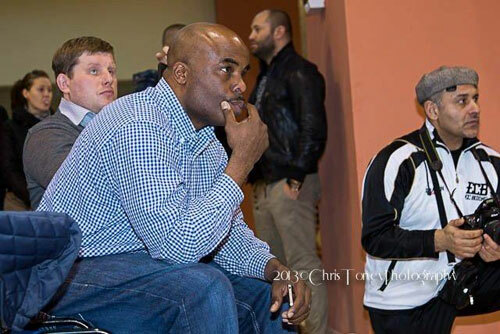 With him on the trip are only his trainer Rodney Rice, and photographer Chris Toney. So basically they are going it alone over there. But a win on Friday will land Wilson a shot at the world title, a feat that very few believed he'd ever achieve. Wilson began boxing and was willing to fight anyone, anywhere, and often with little or no advance notice. He jumped into fight after fight, and did his best to win with limited experience. His 13-5-1 (7 KO) record reflects those choices, and that record has misled TV executives, and others who haven't seen him, to think those numbers define "The Ultimate Warrior". They certainly do not. The thing about Garrett Wilson in those early boxing days was that he was never fighting to build a perfect record. He never had that luxury. Wilson was desperate to fight because he wanted to feed his family, create a boxing career, produce his own opportunities, and try to force his way into the big picture of the cruiserweight division. He was (and is) his own manager, and I doubt he ever gave a thought to trying to preserve a perfect record. 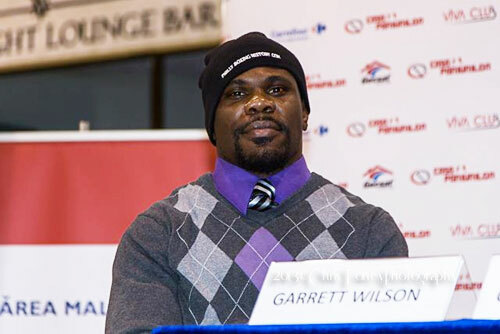 After his first two years in the ring, Wilson was sitting on a 7-5 (2 KO) record. He was fun to watch, a likeable guy, but he appeared to be going nowhere. But that was just the impression that the outside world had. The truth is Garrett Wilson was about to make his move and had us all right where he wanted. He did need help however. 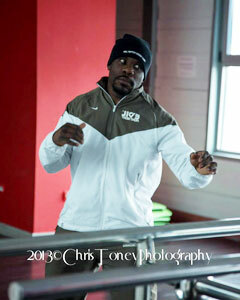 Midway through 2010, Wilson changed gears and brought on Rodney Rice as his new trainer. Their first fight together was an attention getting first round KO, an exclamation point announcing that a new chapter in Garrett's story had begun. "I changed my mindset back when I got with Rodney," Wilson said. "I set my mind that I wanted to win a world title." With Rice's help, Wilson has put together a seven fight unbeaten streak (6-0-1) in the past two years or so. During that stretch, he also won the USBA cruiserweight title, the NABF cruiserweight title, and has risen to the #3 spot in the IBF rankings. If he beats Alekseev on Friday, he'll be #1. Talk about a career turnaround! Through it all, it was Wilson who believed in himself and lead the rest of us onto his bandwagon. His partnership with Rice also deserves credit, but before their work could begin, Wilson had to do an overhaul on his new trainer's confidence and mindset. 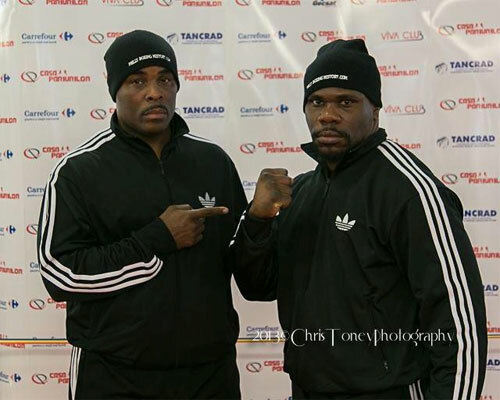 "We were sparring partners," Rodney Rice said. "And one day he asked, 'Why don't you train me?' He had just lost three fights in a row I think. I said Garrett, I don't qualify. He said, 'Just train me'. I said, I don't qualify, but I can help you find somebody. He said, 'Look, let's do this. Me and you can do this'. He pushed me to be a trainer, and for that I love him. Some people even said to him, 'Why this guy? ', and he said, 'Hey, Emanuel Steward had a first guy'." That's the power of Garrett Wilson's positive thinking. He made himself a contender and he made Rodney Rice a trainer. Together Wilson and Rice started winning fights and now find themselves on the brink of big things. However mostly because of his bumpy record and general lack of recognition, Wilson hasn't exactly found the offers flooding in. He's never fought on TV, and he's been completely idle since April. He accepted the fight against Alekseev because it was the only opportunity available that could possibly advance his career. So he took it. Now the question is whether this opportunity turn into "mission impossible"? Team Wilson refuses to think so. "No concerns. 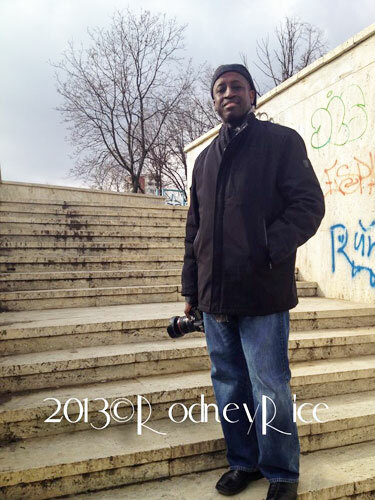 None," Rice said. "He's going to do his job and comeback with the win. I know a lot of people say a lot of this and that... you can't get a decision... I don't get into that. I don't even think like that. He doesn't either." It's true that Garrett Wilson's attitude is just too good to let something like this bother him. "I hear a lot of people saying that you won't win in Europe unless you get a knockout," Wilson said. "I'm going over there with plans of just out-boxing him. If the knockout comes, it is what it is. I'm just trying to give a good showing." Wilson will be facing a southpaw who is five inches taller and more experienced. All things considered, Alekseev will be favored to win the bout. 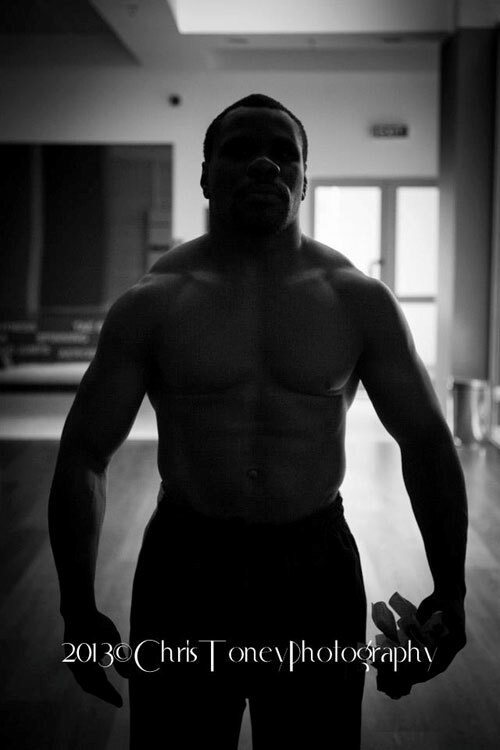 "Since I started boxing professionally, I've been the opponent," Wilson said. "So I'm pretty comfortable being the opponent. The only thing that's changed is that everybody will be speaking a different language." So Garrett Wilson is looking at this as just another fight. It's an important one, but it's just another fight. "Ever since I changed my mindset from just fighting for a couple dollars to trying to win a championship, every fight I'm about to have is the BIG fight," Wilson said. Rice agrees, "Every fight has been the biggest fight of his career. Each one gets him a little closer to the belt. It's what we do. It's what we've been doing. Ever since we got together, we've been on the road. We're going on the road one more time, another speed bump." He's not out of the woods yet, but Garrett Wilson does seem to be the type of guy that will fully embrace an opportunity like this and pay no mind to the perils of being the foreigner in hostile territory. Wilson is well conditioned and focused, and has brought everything to Romania that he needs to win this fight. Garrett has that brutish punching power with him, that explosive power that saved his USBA at the last possible minute against Chuck Mussachio in 2011 and clubbed Andres Taylor to the canvas in their brutal rematch last year. But Wilson's best weapons won't be gloved on Friday night. What will get him trough this nearly impossible mission, is his strong mental attitude and his championship-caliber heart. Wilson has become a true winner, and I'm quite sure he'll do what he needs to do to come out victorious in Romania. Who knows how the powers that be may try to take it away from him, but Wilson will do everything he can to beat them too. He may not need a KO to win, but getting one is probably a good idea - just to be safe. "Just having an opportunity to be able to fight for the number one spot is an opportunity that many fighters never get," Wilson said. "So I'm blessed to even be here, but we're trying to (eventually) go all the way and get the world title. I made the decision that I really wanted to win these fights, but I can't overlook this guy. He's a tough competitor. He's got a lot of wins under his belt. I have to win this eliminator, but then winning that belt is going to be amazing." "In my opinion," Rice said, "Garrett is different from most fighters. He doesn't fight for glitz, glamour or for people to know his name. He fights for a whole different purpose, and that purpose is his children. I'm just so proud of this guy. When I look at him, I'm in awe sometimes. He's going through this like a true professional. He has a mission." And that mission is no longer impossible.